When Sarah Walsh finished her bachelor of science with a focus in marine biology at Memorial in 2013, she wasn’t sure what her next move would be. She did know, however, that ocean technology would be part of her future. “During my science degree, I found myself gravitating towards technology, so I began searching for ocean technology programs,” she said. While she didn’t know much about sonar technology at the time, the more she researched, the more she became interested in the use of sound to detect objects on or under the surface of the water. 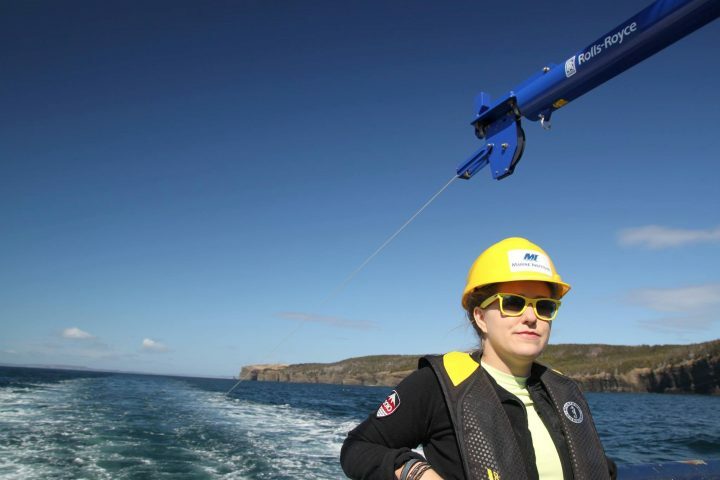 “Less than 10 per cent of the ocean has actually been mapped, which is very exciting and provides so many opportunities for those just entering the field,” she said. The ocean mapping program combines both theory and practical learning — providing students with the opportunity to develop technical skills to collect, manage, analyze and disseminate ocean data. Ms. Walsh says learning the theory behind how an instrument works and getting hands-on experience with an instrument “really helps” with understanding the technology. Ms. Walsh also says she enjoyed the small class sizes and support from faculty and staff. Building on that in-class experience, she became an active member of the MI community. 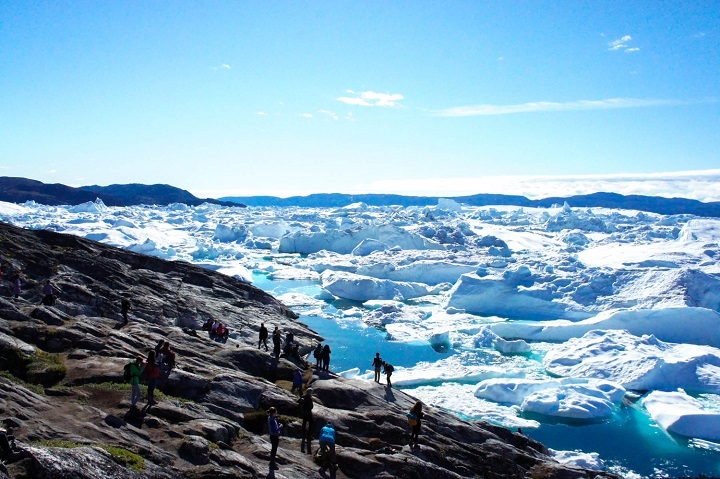 She describes her 2016 Students on Ice Scholarship as the highlight, as the trip provided her with an opportunity to join students from all over the world for a journey through the Arctic. A scene from Sarah Walsh’s Students on Ice excursion. Ms. Walsh says Students on Ice isn’t just about teaching youth about climate change and the science behind it; it also teaches participants about culture and acceptance. She also says her Students on Ice experiences unleashed a deeper desire for her to work towards a better understanding of climate change, particularly using her trained skills in marine biology and sonar technology. During her time at MI, Ms. Walsh also volunteered with student recruitment and information sessions and became active with the campus gymnasium. “MI helped me so much during my four years, so I wanted to tell others, in particular prospective students, about my experiences,” she said. Ms. Walsh also became a volunteer with WISE NL, a non-profit organization which aims to increase women’s participation in science and engineering. “I wanted to be a mentor with WISE because I had such a hard time trying to figure out my own path,” said Ms. Walsh. This past summer, Ms. Walsh completed a work term with the Canadian Hydrographic Service (CHS) at the Atlantic region in Dartmouth, N.S. Building on the work term, she says she was able to obtain employment as a multidisciplinary hydrographer with CHS in St. John’s through the student bridging program. Sarah Walsh in her element. “I feel very fortunate and grateful to be given the opportunity to work full time with the federal government straight out of the program,” she said. For the immediate future, she is focused on gaining more mapping experience and learning more about the exciting and growing field of ocean mapping. This October, she will be a seafloor mapping intern with the Ocean Exploration Trust mapping the seafloor off the east coast of Mexico.